Resolutions are made to be broken, right? Not if you're a small business owner in today's competitive economy. Tax time isn't the only time business owners should review their accounting practices. Experts say small-business owners often make seemingly simple accounting mistakes that -- which at their most extreme -- could mean the difference between a good and bad fiscal year. Here are three common missteps entrepreneurs make and the lessons you can learn from them. What bookkeeping will look like in 2025! I attended a conference the day before and listened to a series of speeches on digital disruption. For those unacquainted with digital disruption, the term basically refers to the change brought about by new digital technologies and business models that are affecting the current value proposition of existing goods and services. Thank you for the confidence you have placed in Tailored Accounts. I would like to assure you that we do not take your confidence for granted. If you walk into any lecture these days, you see a majority of students staring at their screens. You hear a never-ending chorus of pounding keys. Yes, we live in digital age and I bet you can’t imagine not using your laptop for studying. Yes, laptops enable you to do more academic work and do it more efficiently. You can collaborate more easily on presentations and papers, get instant access to numerous libraries and sources online and take a huge amount of notes as you probably belong to the majority that types faster than they write. At the end of the year, socially-conscious clients can boost their deductions, and thereby lower their tax bills, by giving a little extra to the charities of their choice. That’s still a sensible tax strategy as 2014 draws to a close. But a recent tax law change may give some upper-income individuals a moment’s pause before they reach into their pockets. Tailored Accounts: 5 Years Of Great Success And More To Come! 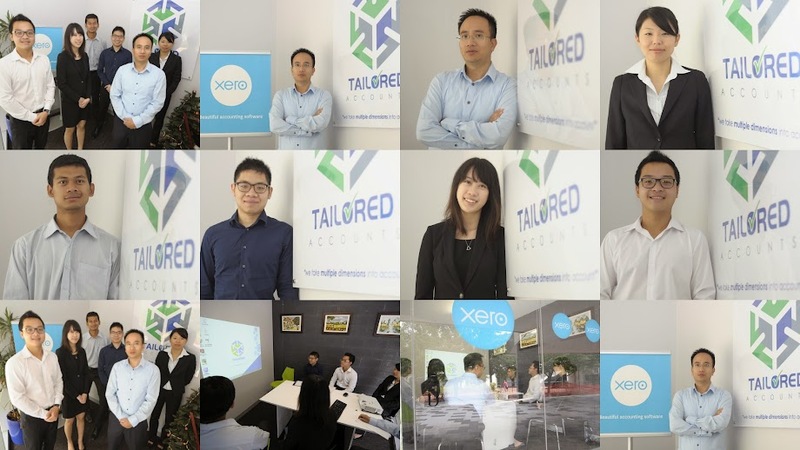 Founded in February 2009, Tailored Accounts was initially named ‘Harry Bookkeeping’ after its founder, Harry Hoang. Telstra Business Awards is a prestigious Awards program to recognise hard work, commitment and success of small and medium businesses. The program was firstly celebrated in 1992 and has now become a coveted award all over Australia. Want a truck load of money? Does the ATO owe you? Do you own a heavy vehicle that is used to power auxiliary equipment on that vehicle? You may be entitled to previously unclaimed fuel tax credits. A decade ago, my friend Bill said, "Perry I've got a million-dollar idea for you. There's just one catch: If you sell a million dollars, you have to give $10,000 to my favorite charity." Self-promotion is imperative to growing one's brand. I once introduced a baseball player to a CEO of a large sporting agency. They exchanged their names and little else. Afterwards, I asked the athlete why he didn't mention that he'd been signed twice to minor league organizations, information I believed would have made a real impact during the conversation. The ballplayer shyly explained that it would have been "awkward" to mention his achievements. How do entrepreneurs in Silicon Valley adapt? By staying flexible. That flexibility is maintained through a set of unwritten rules about how people interact with one another. Clear and effective communication is essential during presentations, whether for board rooms full of executives, auditoriums at conferences, or classrooms full of students. Tailored Accounts will be closed on Tuesday, 24 December 2013 and re-open on Thursday, 2 January 2014.